Composer, performer, and sound artist, Bryan Jacobs’ work focuses on interactions between live performers, mechanical instruments and computers. His pieces are often theatrical in nature, pitting blabber-mouthed fanciful showoffs against timid reluctants. The sounds are playfully organized and many times mimic patterns found in human dialogue. 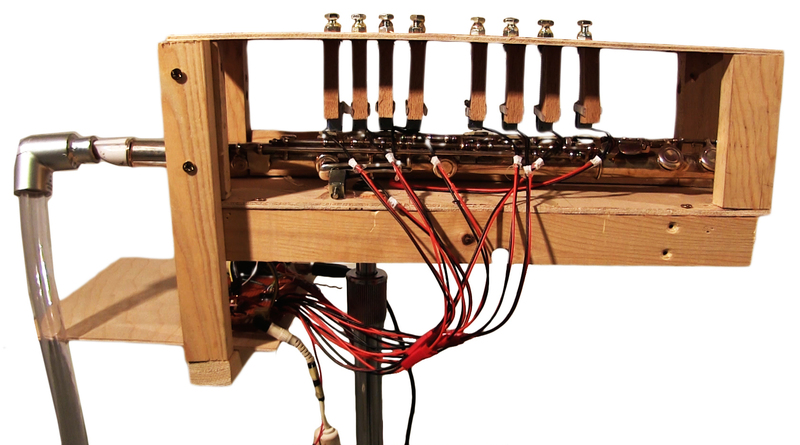 Hand-build electromechanical instruments controlled by microcontrollers bridge acoustic and electroacoutic sound worlds. These instruments live dual lives as time-based concert works and non-time-based gallery works. Jacobs, a Guggenheim Fellow, has been lucky enough to have his music and sound art presented at a number of festivals around the world.